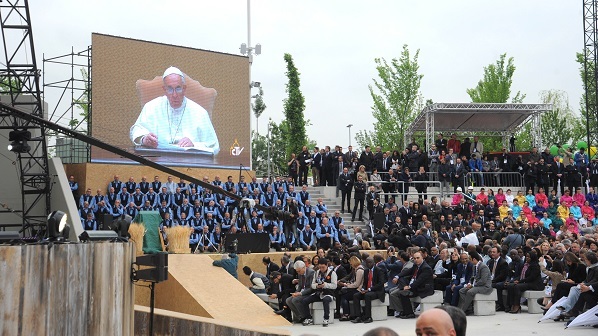 Pope Francis, and Italian prime minister Matteo Renzi have both welcomed guests to Milan as Expo 2015 gets underway. A spectacular show of the Frecce Tricolori soaring over the Expo site officially started the Universal Exhibition. Giuseppe Sala, commissioner of the Italian government for Expo Milano 2015 opened the ceremony. He said: “Thanks to all persons who have contributed to Expo: Emma Bonino, Ermanno Olmi, Carlin Petrini, Salvatore Veca, Giorgio Armani, Andrea Bocelli. “Let me especially thank the workers. “We are here now thanks to the job they’ve made. “Expo 2015 is not a result of an ‘Italian miracle,’ but it was made possible thanks to the commitment which only few could demonstrate. Referring to the theme of the event – ‘Feeding the Planet, Energy for Life’ - Milan mayor Giuliano Pisapia said the time had come for change. “We can’t accept that 800 million people in the world are starving, while there are those ones who are overweight, nor could we accept a world where forests and sea resources are consumed indiscriminately,” Pisapia stated. “This is the message that Milan would like to convey to the rest of the world. “The city is showcasing its best during the Expo period: its art, history, solidarity and its smile,” added Pisapia. Of great emotion was the moment when the Italian Flag of Arma dei Carabinieri was given by five workers of Expo Milano 2015 of different nationalities, to represent the thousands of worker committed to the construction of the exposition site. Speaking live form the Vatican City, Pope Francis said: “I am grateful to speak to those who have come to Expo Milano 2015. “Jesus Christ has taught us to pray saying: Lord give us our daily bread. “With the theme ‘Feeding the Planet, Energy for Life’, Expo 2015 is the occasion for globalise solidarity, let’s try not to waste it, but valorise it fully. During the ceremony the White Voices Choir of Milan sang the Italian National Anthem, changing the last verse of the hymn. With a reference to the modified Italian national anthem, Italian prime minister Matteo Renzi, said: “Italy has woken up and now is ready for life. 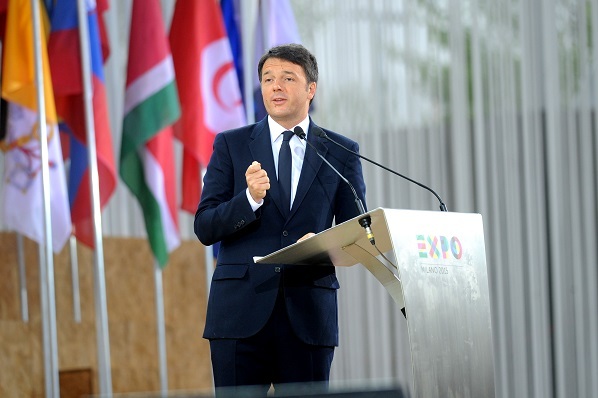 “We demonstrate, with Expo 2015, that Italy is proud of its roots, of its traditions. “Our tumultuous past invites us to build and not only remember. “Come to discover what flavour Expo of Italy. He added: “Today tomorrow starts.